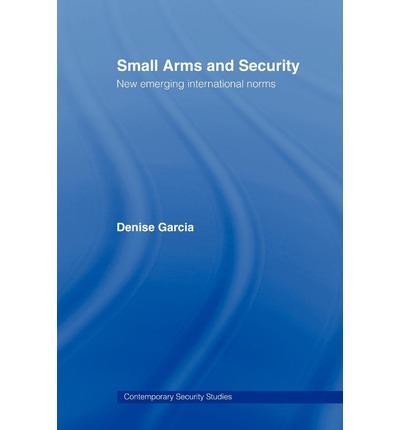 This book examines the emergence of new international norms to govern the spread of small arms, and the extent to which these norms have been established in the policies and practices of states, regions and international organizations. It also attempts to establish criteria for assessing norm emergence, and to assess the process of norm development by comparing what actually happens at the multilateral level. If norm-making on small arms and related multilateral negotiations have mostly dealt with 'illicit arms', and most of the norms examined here fall on the arms supplier side of the arms equation, the author argues that the creation of international norms and the setting of widely agreed standards amongst states on all aspects of the demand for, availability, and spread of both legal and illegal small arms and light weapons must become central to the multilateral coordination of policy responses in order to tackle the growing violence associated with small arms availability. Small Arms and Security will be of interest to researchers and professionals in the fields of peace and conflict studies, global governance, international security and disarmament.